Add water to flour 2 tablespoons at a time. Toss with fork. We want to get to the point when you take your hand squeeze a handful of flour, it should stick together. Work dough until it sticks together somewhat well and is in a disk. We don’t want the butter to fully incorporate. If you need to add more water, you can, but do so only very sparingly. While freezing, peel and finely slice 5 large apples. Mix apples, 2/3 cup sugar, 1/4 cup flour, cinnamon, and nutmeg. Not quite apple crisp, but not quite an apple pie. 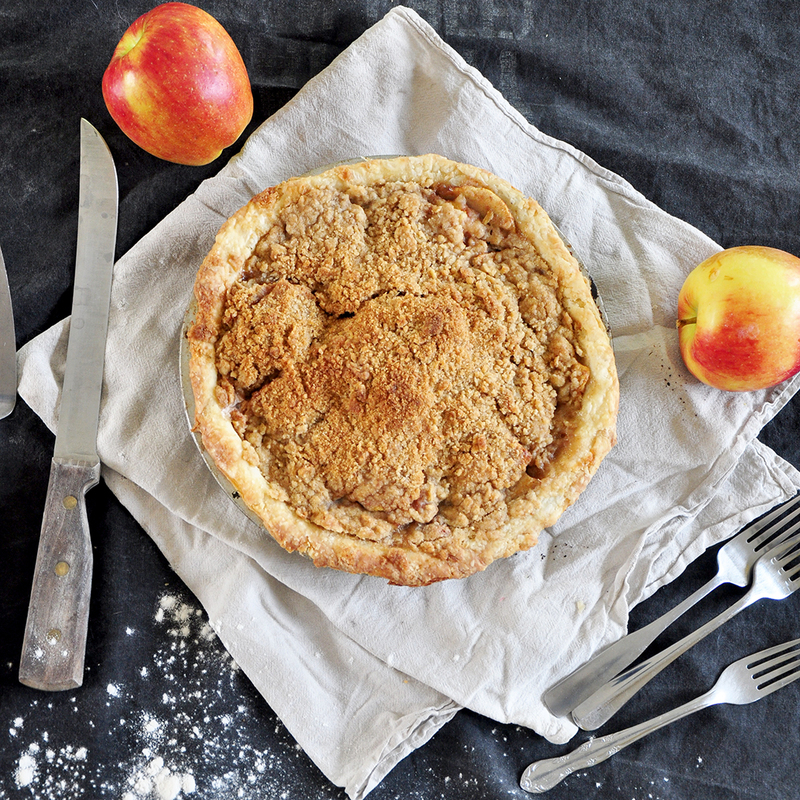 The Dutch Apple Pie is a great way to get both an awesome crust, but also enjoy a beautiful streusel topping. Besides the flavor, a Dutch Apple Pie is slightly easier to make than a traditional apple pie with a flaky crust topping. The streusel topping recipe in this does not lack in flavor and is just a tad easier than the traditional pie. 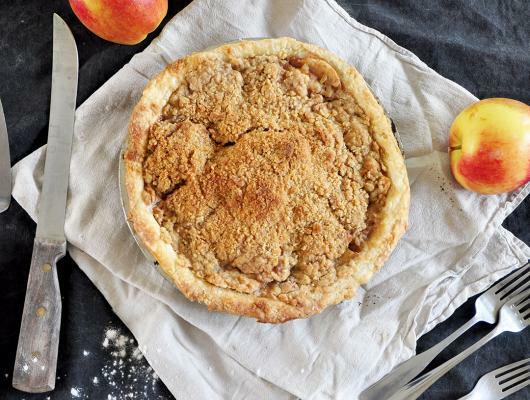 This Dutch Apple Pie recipe is delicious.